I am very patient, kind, and caring. I am passionate about helping children succeed and reach their potential, which is why I decided to become a teacher! Previously, I have tutored a fifth grade student for one semester and a kindergarten student for one year, and I have various experiences working with children of all ages. I specialize in reading and writing but I am eager to help with all subjects in the elementary school curriculum. 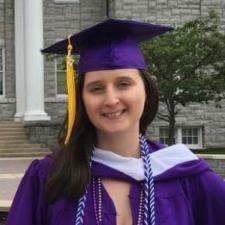 I have been studying elementary education specifically at JMU for the past two years and have completed two practicum experiences (one in preschool and one in fourth grade), which entailed creating and implementing various activities and lessons in all four subjects and working with students individually and in groups, as well as helping around the classroom. Please contact me to learn more and/or schedule lessons! I look forward to hearing from you. Isabel hasn’t set a schedule. I have just graduated from James Madison University with a BS in Interdisciplinary Liberal Studies and a minor in Elementary Education, as well as Spanish. Starting in the Summer of 2017, I will be working towards obtaining a master's degree in Elementary Education. I have taken education-related classes for the past two years at JMU and have completed two practicum experiences so far (one in preschool and one in fourth grade). I have previously tutored a fifth grade student in math and reading and a kindergarten student in math, reading, and writing.